The Embassy of the Bolivarian Republic of Venezuela in the Russian Federation and the Ministries of Culture of Venezuela and the Russian Federation held "Days of Culture of Venezuela in Russia" in Moscow and Saint-Petersburg in the middle of April, 2011. 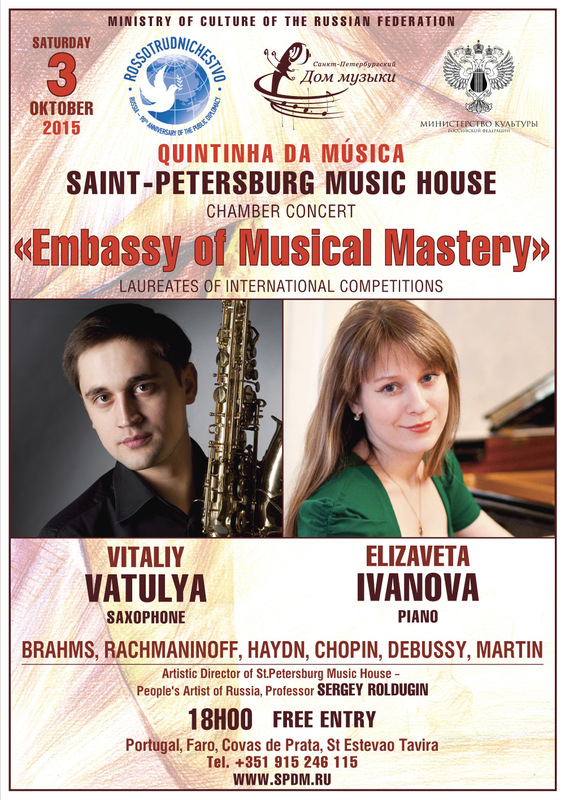 In Saint-Petersburg, the event was presented by the International Cultural Center and the Saint-Petersburg Music House. April 18, 2011, 3 pm. The Saint-Petersburg Music House (Moika Embankment, 122) held the “Musical Geography of Venezuela” workshop about Venezuelan folk music from all over the country and traditional musical instruments. Within the workshop, Maestro Telesforo Naranjo and musicians Jose Antonio Naranjo and Javier Perry explained how music is performed on the traditional musical instruments of this country such as arpa, cuatro, mandolin, Lianera bandola, as well as classical instruments such as flute, contrabass, viol, and violin. Venezuela has also sent the training ship "Simon Bolivar" to Saint-Petersburg.